Par for the Stockton Course? – The Vanilla Stockton MLS Property. Over the last few weeks I have made some bold general statements regarding how hard it is to find an even halfway decent deal on the MLS in Stockton, CA. To back this up I’ve set myself a goal to highlight some MLS Stockton Multifamily properties that I think are representative of a particular aspect of the Stockton market. The first two properties I highlighted were cherry-picked to illustrate some typical but pretty negative aspects of the current market. And I dare say I verbally burned down both properties to the slab foundation. :) While I have some ideas in mind of other property types that I’d like to rip on equally hard I thought that today I’d pick something a bit more neutral. Please Welcome this week’s Contestant: 4878-4880 Greensboro Way! 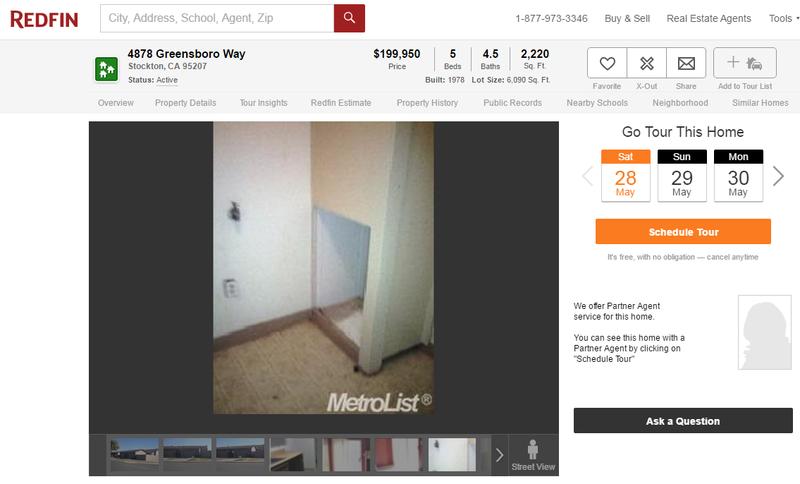 Location: 4878-4880 Greensboro Way, Stockton, CA 95207 - Current Price $200K. Figure 1: There she is! Exceptionally Unexceptional. Where to start? This is a Duplex in a town that has more duplexes than San Francisco has homeless people. It is a very standard type of duplex at that. It is a good example of what I call a “conforming property”. It was, build in 1978 which is an extremely average age for a conforming multifamily in Stockton. In fact, half of multifamily Stockton seems to have been built between 1978 and 1980:). Nothing exiting so far. So, before we go into some of the other characteristics of this property, I’ll start making my point that I’ll harp on throughout this review: Normal is good! I’ll repeat it: “Normal = Good”. “I [heart] normal”. This is where you ask: “Why is normal so good?” Why would you want something that is the same as everyone else’s? Why not something that is “Unique”, with “character” and “curb appeal”! Something that “POPS”, like they talk about in all fun house flipping shows on TV? Let’s break it down: you say “Character”, I say “High Maintenance”! The workforce you will have to pleasure to be working with, at the amounts that you are willing to reluctantly part with, should be able to handle anything that is standard and cookie cutter. Well, I’ll take that back, they will be able to handle it most of the time. Most. Some of the time however they will have a guy not put on an angle stop back on correctly during a rehab and leave for Disneyland*** so that you cannot reach them when your downstairs tenant calls you in a panic at 11PM on a Sunday night right after the ceiling collapsed in a big waterfall. ***=Seriously Disneyland!!! I could not make this sh*t up if I tried! Anyway, you want the building to be simple and standard. Anything that requires a true craftsman, is going to be A.) Botched, B.) Not fixed at all, or C.) Force you to get someone with skills that exceed your wildest budgets. These late 1970’s early eighties multiplexes are my personal sweet spot so take it from me; after you have rehabbed one, you have pretty much seen them all. They are very predictable. I [heart] predictable. As for “Curb Appeal”. I agree that this is very important when selling a nicely flipped 3/2 SFR to a nice young couple with a dog and their second baby underway. However this is NOT your scenario here. In the Stockton multi-family segment curb-appeal will not do anything for you. It’s been my experience that multi-fam tenants are not going to pay a single food-stamp extra for curb appeal. Now don’t get me wrong here. I am not saying the place should be in bad exterior repair, or painted Smurf Blue; unless you are looking to rent to Smurfs. It is really true what they say; weird non-standard properties beacon weird non-standard tenants. And you don’t want that. You want something that everyone recognizes as normal. What all this comes down to is that you want to offer what your target audience expects. No Less! Maybe a little more, but again, it is very easy to shoot past that point of diminishing returns. Remember you are not trying to rent to yourself! Your prospective tenants have most likely lived in a duplex or triplex before. They might have even grown up in one! So you want to meet their expectation. There are two things that I noticed about this property’s exterior that are actually a bit above par: The exterior walls seem to be stucco and the roof has been redone at some point. Most properties of this vintage have standard T111 siding. And while standard is good enough, you will find that that siding on a 1978 building has never been replaced. Combine that with the rusted out gutters leaking water on there and the California sunshine and I bet you dollars for doughnuts that the siding will be pretty rotted in places. By the way, I can also pretty much guarantee you that if you dig in you will find that the building has/or had termites at some point, which is actually less of an issue than you would think. Anyway, stucco means that someone has gone through the effort of redoing the siding with stucco which is a costly process and good news for you the prospective buyer! Secondly, the building seems to have a newer roof. And no, those are not roof tiles by the way; they are decorative edge shingles instead of the standard trim. This indicates the roof has been replaced. You’ll want to have a roof inspection done but this could be good news. There is more to see on that roof. I spy one new(er) HVAC and one original HVAC. The weird thing is that while you will not likely to get a discount on any property because a property has an old HVAC unit, a new(er) packaged HVAC this is of significant value. Count on 3 to 4 grand to replace it with a decent unit. Also, older units will force the tenant to spend a lot more money on their PG&E bill. Why do you care? Look at it this way, all money they send to PG&E they cannot pay in rent to you. Before we move inside, let’s briefly talk about the neighborhood. It is one that is mostly made up out of multifamily properties of a similar vintage. I did not drive it in preparation for this “review” so I was not able to personally gauge the atmosphere there. Based on what I see I would assume it is somewhere between OK and “not great”. Which is actually again pretty standard for this type of building. After all you don’t find many low(er) end duplexes situated on golf courses. If I were in the market to buy it I would have driven by there after work today to check it out. Friday evenings are good indicators. Now let’s move inside. We’ll use the pictures on the listing. Let’s start off by saying that for a $5,000 minimum commission you would expect the realtor to be able to come up with some pictures that exceed the crappy alien-autopsy-like graininess of this lot. Figure 3: Bad Quality Pictures. One "Vote" for Whoever Can Identify what this is Supposed to Be! That being said, the inside looks totally… …stock. Exactly what you would expect for this vintage. Livable but not pretty. No special upgrades in sight. What I like though is that both units are occupied. If they were unoccupied you’d immediately be out of pocket for paint and flooring + at least some general rehab. Occupied means, that you at least start off with some money coming in. One side is a 3/2 the other is a 2/2. Again, I am not too familiar with that particular area there but even without any real upgrades I think a 3/2 will rent for $900 and a 2/2 for $850 any day of the week. Both have attached 2 car garages, which I think I think is expected. One thing that surprised me: It looks like the landlord is paying the water/sewer/garbage?? WTF?! Units of this vintage will most likely be separately metered. Why on earth would you want to not have the tenants pay WSG? Even if there is a fee being charged by the current landlord (and most often that is not clear from the RedFin listing if that is the case) you don’t want to do that. You will have the hassle and STILL sponsor utilities while it is not expected for this property type. The good news is that the units ARE (most likely) separately metered, which makes it easy to turn the City of Stockton Water bill back over to the occupants. Which is probably the first thing I would do if I were to buy this. Price $190,000 Current rent is $800+$800. Projected rent $850 + $900 = $1,700. Note that this is still not conforming to the 1% rule of thumb, but as I said before, in the current market this is about as good as it gets on the MLS. Now I am going to assume 100% financed @ 4.5%APR. I am also going to assume that whole deal with the landlord paying the WSG is either a typo of the same realtor that put up the Monet-like pictures, or that this situation will soon be remedied after buying the property. If not, count on $80 each minus whatever you charge them back. So now our numbers look kind of like this: P&I Payment $11,552, Management 8% $1,632, Vacancy Factor 10% $2040, Insurance $1,100, Repair and CapX 10% $2040, Taxes 1.25%=$2,500. Your projected income is $20,400 and your projected expense is $20,864. That is a negative cash flow of about $400 per year. Figure 4: How do you like them numbers? Quick note: from my experience though; the CapX and Repair/Maintenance that I estimated above is actually a form of wishful thinking already. I find that in the first few years of owning a property I sink quite a bit of money into it to get the property “dialed in”. Also remember that these are supposed to be averages. For example if your right units AC craps out this summer that means that you just ate up your whole 10% CapX and repair budget for the first 2(!) years. Also, in my experience bad things don’t happen in isolation. The AC will crap out AND the tenant will move out, without paying, leaving you with a unit that needs to be rehabbed and an HVAC that needs to be replaced AND a vacancy all at the same time:). Oh and the tenant will try to sue you for some BS that gets later thrown out of small claims court but still wastes your time and mental energy*. This is a very standard "deal" at today's prices. Based on info available I think that compared to everything else that is out there this is about what you can expect to buy off of the MLS. It's actually lower priced lower compared to some others, so there might be things missing that I am not aware of. Besides the price I think this is a great beginner's property by the way, exactly because everything is so Vanilla. However, I have a hard time making the numbers work anymore:(â¦ 1% rule properties, where art thou? Now you suffered through my “analyses” and saw my “quick numbers”. Was I way out of line somewhere? Did I miss something big? Let me know. Also I am curious, do YOU think this is a good deal? If so, what are your reasons (or rationalizations:) )? Let me know in the comments! If you have any questions or think I can help you with anything feel free to ask. I am pretty open about my business and don’t mind helping follow BPers because I really believe that real estate is not a zero sum game. Helping you helps me:)! Nice post Chris. 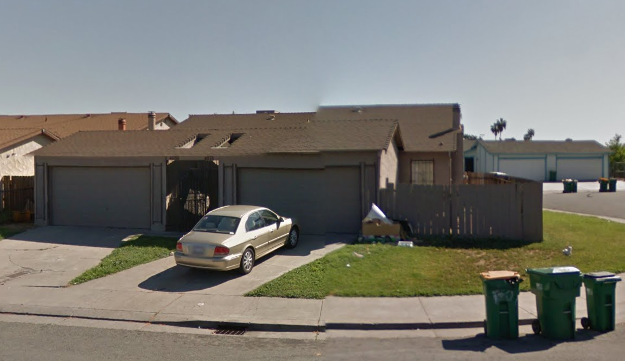 I looked into Stockton MLS listing a bit last few weeks, completely agree with everything you say. I also do not find cashflow as much as in your analysis. For this particular property, seems not so bad deal if in a desirable area. At -400 a year, that's like -34 every month. I can only justify by thinking that you make it up in the principal help paid by tenant monthly, and also you get to deduct the depreciation of the property like you said deduct more in taxes from w2 or w4. Phantom cashflow is what Robert Kiosayki once call it. 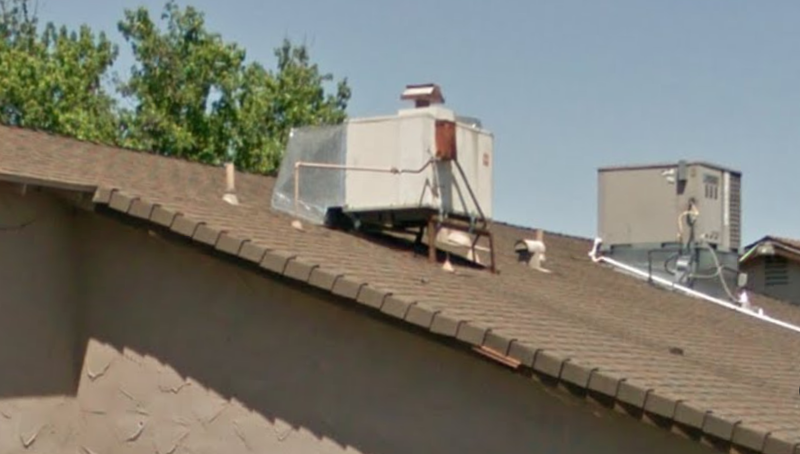 Now why would they install an HVAC on top of roof on a slope? Last question first: all of North Stockton build late seventies and newer has that type of HVAC units. There are called packaged units. Drive around in the areas Basically there are no moving parts inside of the house. Just duct work. Everything heater, and all the AC parts are rolled up into that one units that is one the roof. Its actually pretty ideal from a maintenance point of view. And also you keep the tenants, landscapers etc. AWAY from the unit with is pretty idea as well. The disadvantage is that you need a crane to plant one on a roof, but give that they last about 30+ years with little maintenance that is not too bad of a trade off. When they do need to be replaced it will cost you though. And that kind of slides us into the answer for the first question. If you are not making money (cash flow) in the NORMAL scenario don't expect to make money in reality. What you have to realize is that these building have been MILKED by landlords for 4 decades. Let that sink in for a bit. So you will run into stuff that you can simply not realistically "wing" anymore and will really need to address. For example, the siding might be a bit rotted here and there. So you decide to change that out. It would not make sense to do that without also putting on new gutters, because those rusted out galvanized gutters caused the rot in the first place. Since you are taking off the siding and trim you might as well replace those old horrible aluminum single pane windows and also the slider is rocking in its tracks. None of this would make sense if you do not paint the building as well. Boom, you just spend 15 grand easy. Now a tenant moves out and the kitchen cabinets doors are falling off, the cabinets are rotted and the horrible yellow vinyl flooring screens 70's + 40 years of abuse and cigarette stains, and the kitchen cabinets are rotted under the sink and the counter needs to be replaced anyway. You decide you might as well put nut cabinets and counter tops and flooring in the kitchen, boo ya another 7 grand. Just carpet and vinyl will cost you $1500 and paint inside about the same, you know how it goes. If would be different if the properties were newer, but 1978 really is almost 40 year of neglect by owners and abuse by tenants:(. And at some point that can only go so far before something HAS to happen. If the price was compensating for that it would be a great chance to do it right. Thanks for the awesome analysis. Good for non - Stockton investors. But, as a fellow Californian, how are you going to really buy and manage a duplex in Baltimore? That is the real trick. Hi Steve - Thanks, glad you found it useful! I am currently not seriously looking into investing out of state. I am now well invested in Stockton, have build up some expertise and have my systems in place and am in the process of consolidating here. So that this point I feel that going out of state at this point and would not make sense because I'd spread myself too thing. My point I guess is that someone who is not already "invested" in Stockton should really consider all their options, including out of state. Everyone has to determine for themselves what their comfort level is, but you also need to be critical of your own motivations, are you investing to maximize your profits, or looking for a hobby to spend your Saturdays on? :) If I were not invested in Stockton right now I don't think I would get in at the current prices because my goal is growth now. If someones needs are more along the lines of tax shelter etc. the answer might differ. While I know little about it and am not doing it, I know there are plenty of people doing it with success. There are probably forums here on BP just about that. That would be a good place to ask the pro's how they do it. I'm working on an old friend in DC to see if he'll be my eyes on the ground out there. I think it is challenging, but do-able to invest in California for cash flow and buy and hold, but it does take more work.